The Government has today set out its priorities for the ECITB for the year ahead, in a letter from the Minister for Skills and Apprenticeships, Anne Milton MP, to ECITB’s chair Lynda Armstrong OBE. The letter, which focuses on the ECITB’s activities in England for 2018-19, follow on from last year’s review of the Industrial Training Boards by the ECITB’s sponsor the Department for Education. Support industry skills development to deliver the £600bn of infrastructure investment earmarked in the National Infrastructure and Construction pipeline over the next decade through appropriate skills and training inventions in line with the latest labour market intelligence. Deliver initiatives to ensure a steady supply of skilled labour and to standardise training and competency requirements across the engineering construction workforce. The ECITB should facilitate moves between sectors, including through the Connected Competence programme, and provide support for upskilling and reskilling to aid collaboration and drive efficiency. Help the industry to tackle current and future skills issues, including encouraging and enabling greater uptake of apprenticeships, supporting the development of the engineering and manufacturing T levels and the provision of industry placements. The ECITB should also work with partner organisations to encourage more young people to pursue careers in engineering construction and tackle the industry’s poor record on diversity. Implement the remaining governance reforms recommended in the Review, including planned reforms to the ECITB’s grants system. 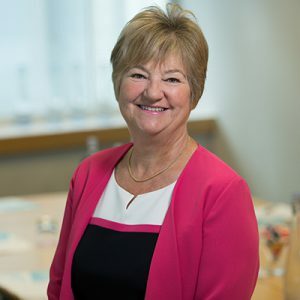 Lynda Armstrong, ECITB Chair, said: “This welcome guidance from the Government will help us shape the ECITB and our future plans to best serve the long-terms needs of the engineering construction industry. TheITB review showed that the ECITB has the confidence of the Government and industry. Since then we’ve worked to adopt its recommendations, including the recent appointment of a new more streamlined board and the establishment of a new industry council.